Tate has a kiss for you! JUL 9: Tater Tot has had his jaw repaired and the wire is now out – he is feeling GREAT and loves getting out and exploring the neighborhood now that he’s not in constant pain! 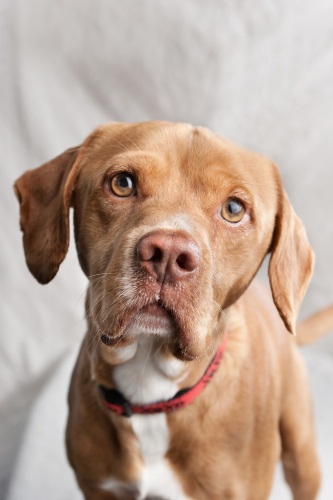 He’s so silly…he’s got to be one of the clumsiest dogs we’ve ever met, but he takes it all in good stride and is always ready to play some more, once he gets his feet back under him soundly! Tate is very patiently waiting for his forever home, and we are enjoying having him with us, but he soooo deserves a full-time forever mommy and/or daddy who he doesn’t have to share time with like he does in his foster home. We promise he’s a laugh a minute, and a great snuggler too! MAY 23: Tate is doing great! We went for a home visit in downtown L.A. yesterday. He would do fine in an urban environment…he wasn’t too phased by all of the street noise while he was in the home and he was polite to people while he was on the street. We did learn however that Tate would NOT do well in a home with a kitty cat. He’s TOO anxious to inspect them. We also went for a visit to the vet this week for a checkup. His jaw is healing really well, right on track. He’s got 6 more weeks with the wire and then it can come out. But you can see in these 2 new pictures that the wire isn’t at all visible; he looks just like a normal doggie! APR 5: Tate has had his surgeries and is recovering very well. 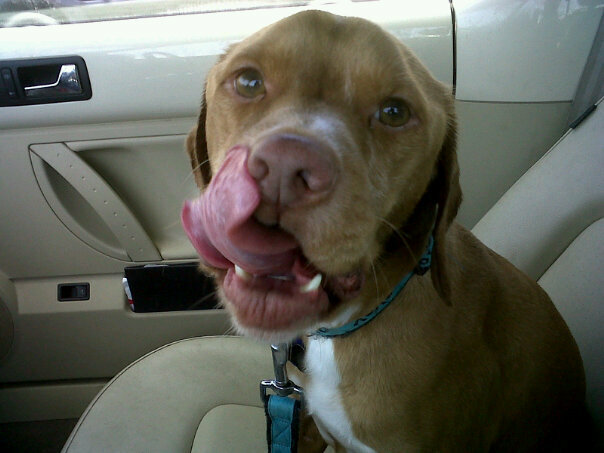 The vet was able to wire his jaw shut rather than plating it, and the wires et al must stay in his mouth for 12 weeks. After that, he’ll be good as new! It must be uncomfortable to have all of that stuff in his mouth, but he never once complains. 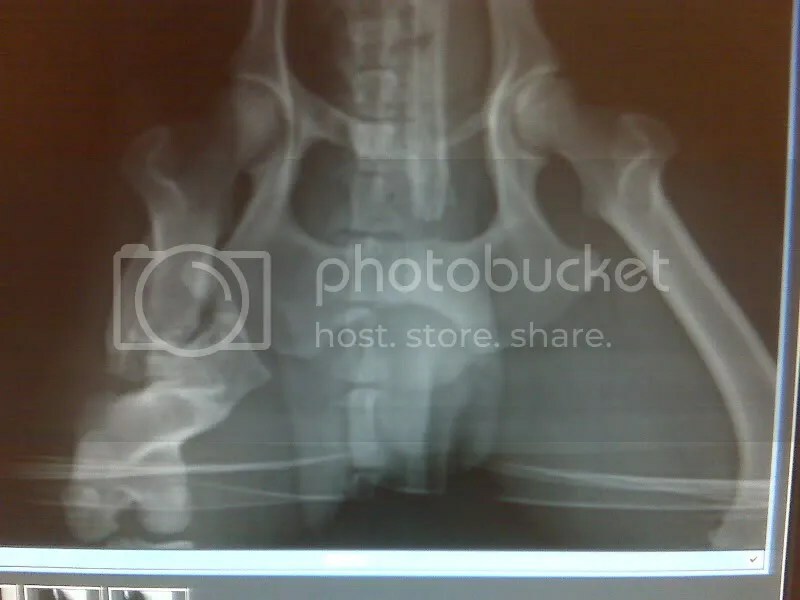 The vet re-did his x-rays and saw that his leg had calcified more than it had in the original x-rays. 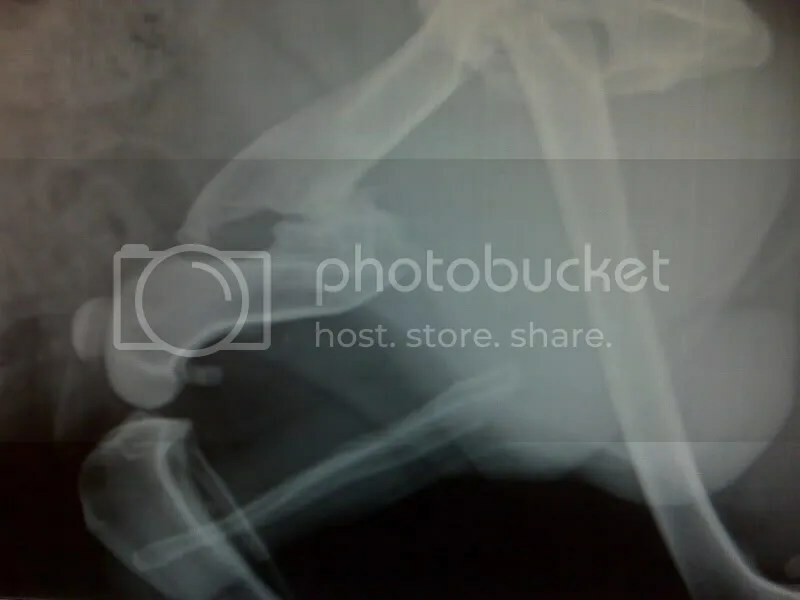 Also, the broken leg is only 1 cm shorter than the intact leg. So she decided that since it’s continuing to heal and stabilize itself that it would be in his best interest NOT to re-break it right now. He would lose too much blood and the recovery and rehab would take close to a year. Since Puggles & Pitties did fundraise for the procedure though, we will put the money raised in an interest-bearing account specifically for Tate’s Medical Fund. If his leg ever breaks once he’s adopted, the money can then be used to repair it at that time. 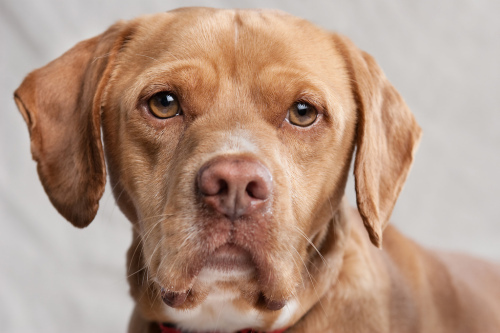 Everyone at the vet’s just fell in love with this boy…do you have room in your heart and home for him too?? JAN 23: Tate is the sweetest, goofiest boy around! 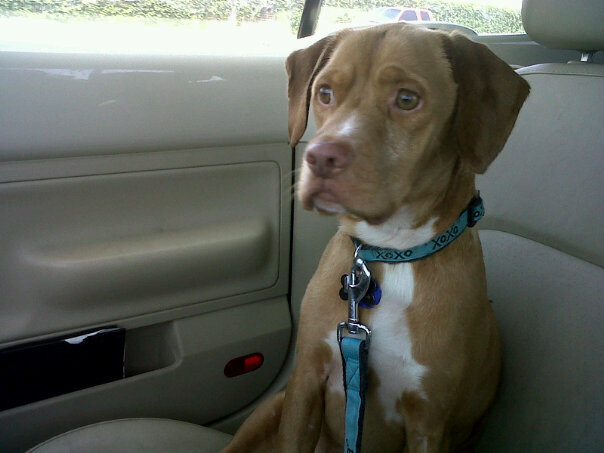 He loves loves LOVES to cuddle with his foster mom and he is great about riding in the car – hops right in and is ready to go! We are currently fundraising for Tate’s leg surgery, which has been quoted at $3,400. After the surgery and rehab, Tate is expected to be good as new and mobile as ever! In the meantime, we are accepting applications for this sweetheart. 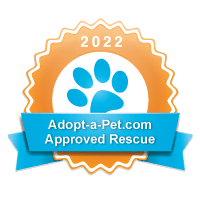 The approved adopter would be a foster home for Tate until the surgery and rehab is completed, at which time the adoption would become finalized. But he deserves to find his forever home as soon as possible, so we don’t want to wait until his leg is completely healed to start looking. If you are at all interested in this angel, please send us an application so we can arrange a time for you to meet him. We guarantee you’ll fall in love! !